National Doughnut Day was less than a month ago and I still have visions of doughnuts in my head. 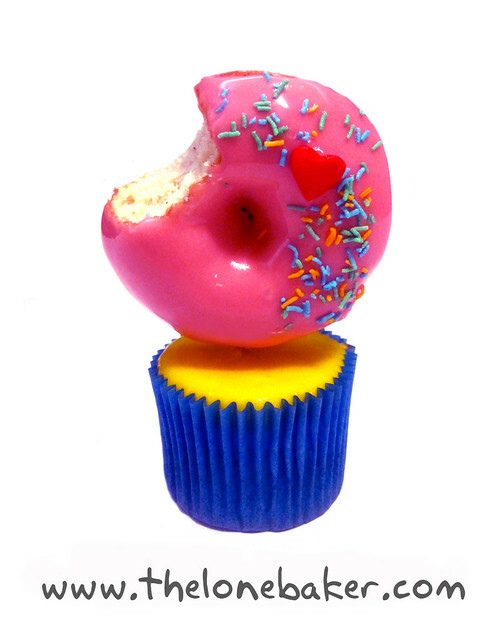 I'm not as crazed about doughnuts as Homer Simpson, but the combination doughnut cupcake is the summer blockbuster of desserts. When I saw the photo below from The Lone Baker, I thought her blog post was going to be about making a cupcake plus doughnut dessert. Actually she blogs about the various kinds of sugar. As a reader of many cookbooks myself, I am often confused about caster, confectioner's sugar and sanding sugar. Read this informative blog post and bookmark it for future baking.